A quiet, easy-to-reach sandy paradise! 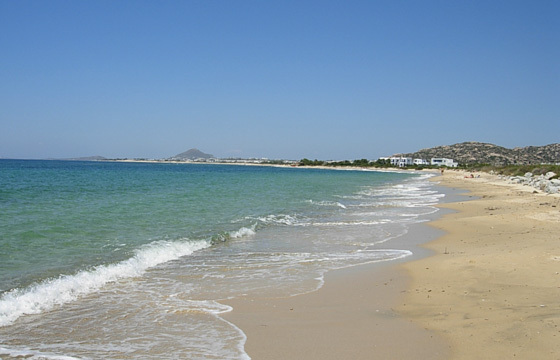 Plaka is the continuation of Agia Anna beach with a beach extending for 4 km. Plaka was the hippie spot during the '70s with crystal blue Aegean waters. Right at the opposite of Plaka beach there is a small island called "Glaronisi" (seagull island"), the unique spot where cormorants gather. Plaka is ideal for a calm and quiet swim, whereas, at special spots, nudism is also allowed.